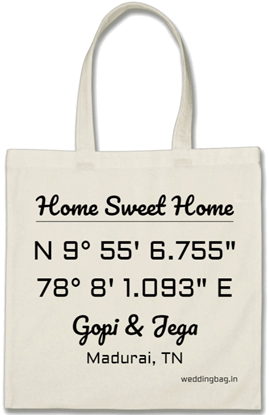 House Warming Gift Bag with Address Sign GPS Coordinates One of our fasted moving Thamboolam bag. Looks rich and elegant and has good space to hold your thamboolam items. Handy and trendy. Haul your belongings in style with our customizable cotton tote bags. Available in multiple sizes to fit all your lugging needs, these bags are made of 100% natural material and can be customized with your favorite text for the perfect gift or casual accessory. Versatile, trendy and durable, this custom tote means you'll always head out in personal style! We can customize it to any size and color as required ! Say NO to plastic. 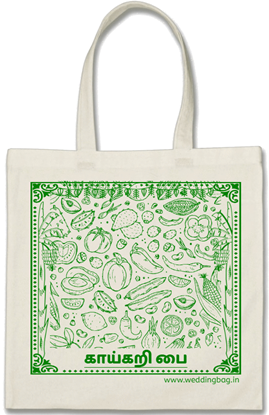 Switch to natural organic cotton One of our fasted moving Shopping bag. Looks rich and elegant and has good space to hold your grocery items. Handy and trendy. 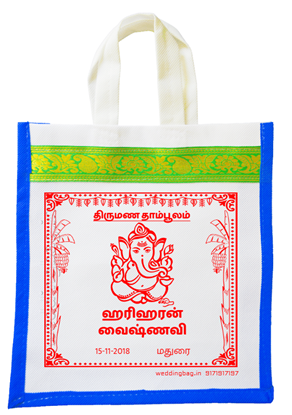 These bags are made of 100% natural material. Versatile, trendy and durable, this custom tote means you'll always head out in personal style! We can customize it to any size and color as required ! One of our fasted moving eco-friendly bag. Looks rich and elegant and has good space to hold your shopping and grocery items. Handy and trendy. 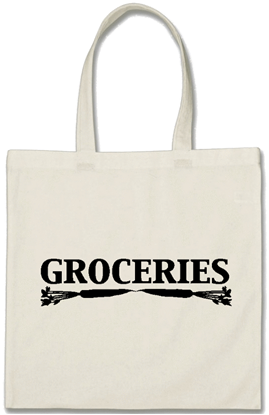 Haul your belongings in style with our customizable cotton tote bags. 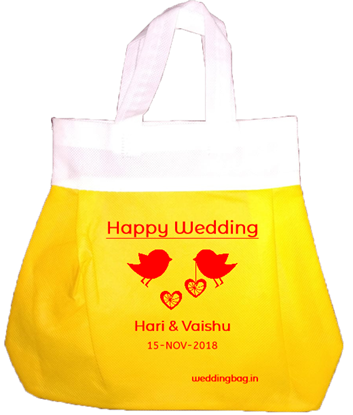 Available in multiple sizes to fit all your lugging needs, these bags are made of 100% natural material and can be customized with your favorite text for the perfect gift or casual accessory. 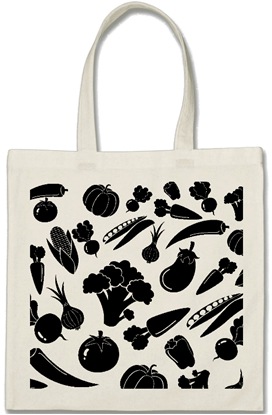 Versatile, trendy and durable, this custom tote means you'll always head out in personal style! We can customize it to any size and color as required !